There are many advantages to selling your home without a realtor, though they may not be apparent at first. People have been using realtors for ages, and many people wouldn’t even know how to approach the sale of their home without one. Using a realtor is the traditional way, but that doesn’t mean you’re confined to that option if you need an expedited service. Realtors don’t work for free. They take a commission from the sale of your home, which usually averages out at 6% of the sale price. If your home sells for $300,000, your Realtor walks away $18,000 richer. Your buyer’s agent will also get in on the deal. When you use a realtor, you don’t actually receive your full asking price when all is said and done. Of course, this only applies to the best case scenarios. Homes that are difficult to sell may warrant a higher commission, if they sell at all. These homes will often face price cut after price cut, and in the end, the homeowner isn’t left with much. No matter how the sale goes (or whether it happens at all), these things take time. The majority of buyer don’t pay cash for homes, so they’ll need to get approved for a bank loan before the sale can be completed. If they fail to secure approval, you’ll have to start over at square one. The escrow process will eat up a lot of your time. There are also dire circumstances under which a homeowner needs to sell quickly, such as foreclosure avoidance or relocation. Sellers don’t have time to wait around, and they can’t afford to lose a buyer. If you need to sell fast or are reconsidering using a realtor, let’s explore what you can do to speed up the process. It’s hard to sell a home that needs repairs, with or without a realtor. The more repairs a home needs, the more difficult the sale becomes. Potential buyers really care about structural defects. 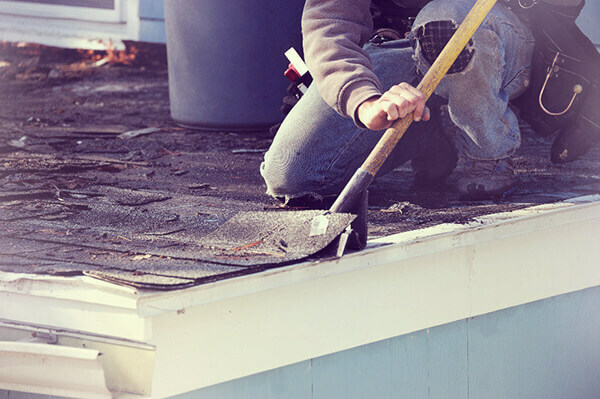 A bad roof, leaky plumbing, water damage and mold will often be significant deal breakers. You do have the option of completing the necessary repairs, but you may run into some issues if you decide to go that route. Repairs can take a lot of time, and they often take a lot of money. A new standard roof on an average sized home can cost anywhere between $4,000 and $9,000. If you don’t have that kind of cash and you can’t wait for the job to get done, you’ll find yourself in a difficult situation. The average buyer may be willing to buy your home at a significant price cut, but these buyers are rare. Alternatively, what you can do is look for a buyer who regularly purchases homes “as is”. This means that the buyer is aware of the issues with the home and intends to fix them after they’ve purchased the property. You’ll be selling your home for less, but you won’t have to pay a hefty repair bill out of your own pocket. You don’t have to wait to raise money or hang tight while contractors schedule work on your home. Selling “as-is” cuts through the headaches and hassles and allows you to move forward and be done with the property without much needed from you. With new construction popping up all over the place, buyers have their expectations set high. Some people just don’t understand the charm of a retro home. 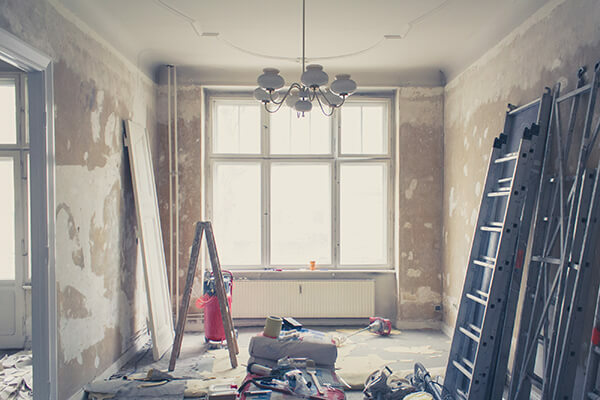 If your house hasn’t been renovated since you purchased it, or if it was left to you as part of a family estate, this may make the property difficult to sell. Buyers may not be able to see themselves living in a dated home. When shopping for a new home, buyers want exactly that – new or modern. They already have a picture in their heads when they’re searching for a property. Modernized homes often command similar asking prices as dated homes that are in great condition. Nine out of ten times, the buyer is going to opt for the modernized home. It’s very expensive to remodel a home, and it can take months. To add insult to injury, a lot of remodeling projects don’t offer any return on investment. You could be wasting both money and time by going this route. To expedite the process, selling your home to a buyer who is specifically in search of a property to renovate is often a good option. They exist, and they’re able to easily see the potential in a home that’s remained untouched for decades. In many cases, finding a legitimate investor to sell your home to can expedite the process even further. Wouldn’t it be great if you could pick up your home and set it down next to better neighbors? Noisy neighbors, neighbors who have let their homes fall into a significant state of disrepair, and neighborhoods with high crime rates will make your home difficult to sell. Your home could be wonderful, but the negative impact of the surrounding area will take the wow factor down several notches and make your life more difficult. Sometimes, it isn’t even your neighbors that are a problem. If your home is located just outside of an area with a lot of bustling nightlife, close to an airport, next to a freeway or just outside the path of a running train, light sleepers won’t be interested. Early birds don’t want to deal with late night noise disturbances, and there’s nothing you can do to make the area quieter. It may seem impossible to sell properties like this quickly, but you do have at least one option. There are, in fact, indiscriminate buyers. They don’t care about noise levels or bad neighbors. They just want a home that they can work with. People who wouldn’t ordinarily live in your neighborhood may be willing to overlook the circumstances if the property is nice enough. People like home investors know this, and that’s exactly why they buy these properties up whenever they find them. They’ll focus on making the pros outweigh the cons so you don’t have to deal with all the hard work or stress involved with finding a buyer. There are some areas of the country where homes are taking 6 months or longer to sell. Statistics like these can induce some severe anxiety in homeowners who are beginning to feel like they’ve reached their breaking point. If you’ve been looking at the same “For Sale” signs on your way to work as the seasons have changed, you may feel tempted to panic. Don’t. There’s nothing you can do to single-handedly repair your local real estate market. All of the factors that contribute to an unhealthy market are out of your control. All you can do is get out, and you’ll want to get out quickly. When things are bad, it might feel like a buyer will never come along. This isn’t true – you’re probably just looking for the wrong kind of buyer. In neighborhoods with bad markets, specialty buyers actively look to pick up as many of those properties as possible. By getting the market moving and investing money into getting these homes into better shape, they hope to draw in buyers from surrounding areas and normalize the market. Home investors will be glad to purchase your property, even in a miserable market. When you know you don’t want to work with a realtor (or if a realtor wasn’t able to help you), you might consider selling your home by owner. At first, this seems like a great idea. There’s no commissions, and you don’t have anyone breathing over your shoulder during the sale process. This is only a great idea on the surface. 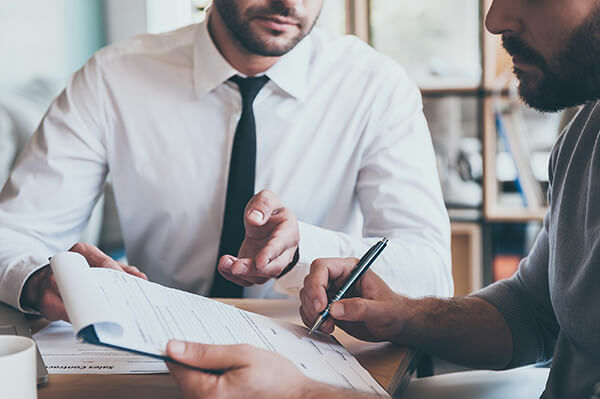 Selling your home by owner can take even longer than selling with a realtor, and you’ll rack up a lot of costs that might equate to what you would pay in commission. When you sell your home by owner, you have to use all of your own resources. You need to pay to stage and list your home. All of the advertisement you do comes right out of your own bank account, and you could be advertising for a while before you pick up a lead. Realtors already have all of the connections they need to advertise your home, and you’ll have to form these connections from the ground up. Most importantly, you’ll have to teach yourself, study and learn how to do all of this. Selling by owner turns out to be very expensive, stressful and the process is a lot lengthier than you may believe it to be. What if you need to take time off work to hold an open house? You’re going to expend a lot of effort and throw a lot of cash around, and there’s no way to know how long you may have to do that for and retain your sanity. Investors can do just about anything you want them to. At Home Buyers USA, we’d love to help you sell your home quickly. We handle all of the paperwork and the closing costs. You’ll never have to pay any fees. We’ll also do all of the repairs and renovations on your home ourselves. Since we’re private investors with our own funding, we can close on your home in as little as 7 days or whenever you need. It doesn’t matter if your home is worse for wear, in a bad neighborhood, or stuck in a tough real estate market. All you need to do is contact us when you know you’re ready to sell to learn more. All we need are some basic details about your home, and we can have an expert respond to you with a full cash offer in as soon as 1 business day. You’re tired of waiting, and we want to help you make your wait come to a satisfying end.